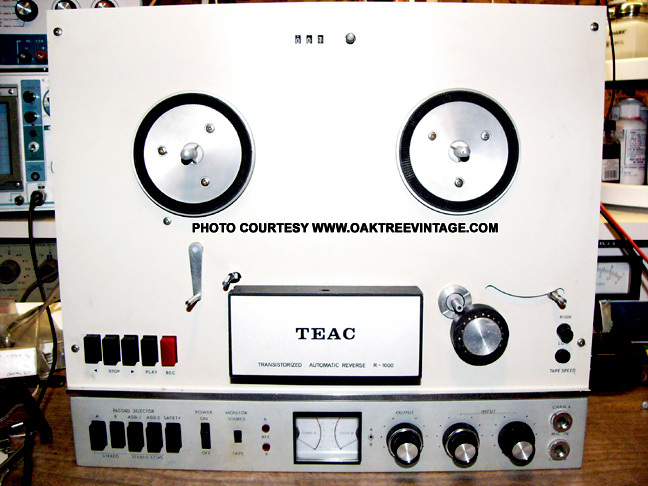 Teac / Tascam Stereo Parts & Parts Teac Reel to Reel / R2R / Reels, electronic parts for Tape Decks & parts. 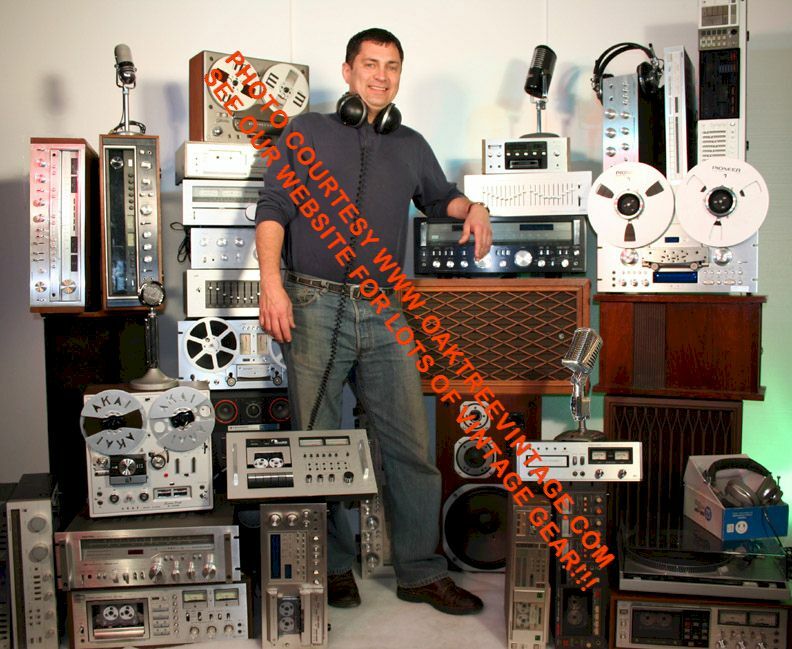 Teac X-1000, X-1000R, X-2000 X-7, X7R, X-700R / X700 / X700R parts, as well as A-1500-W, A-2300, A-2300S, A-6010, A-6010GSL, Teac R-1000 / R1000 parts. 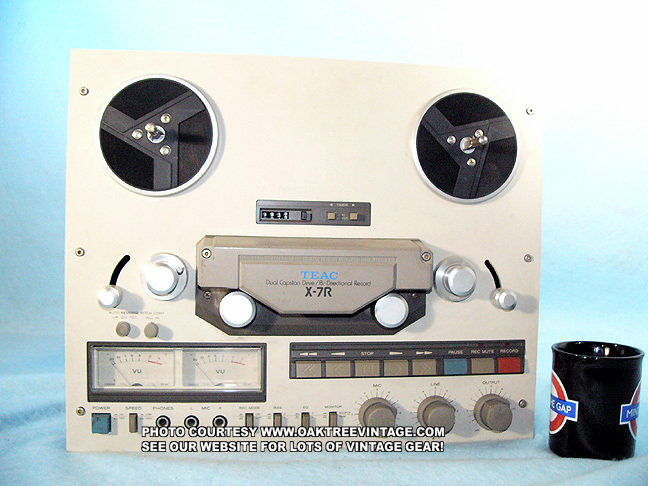 Also Teac X7, X-7R, AR-60 Reel to Reel / R2R for sale. 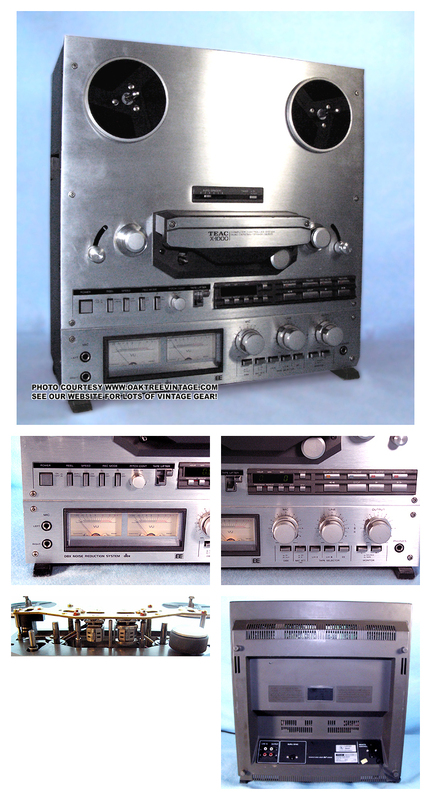 Teac 124 Syncassette Cassette deck Parts unit. 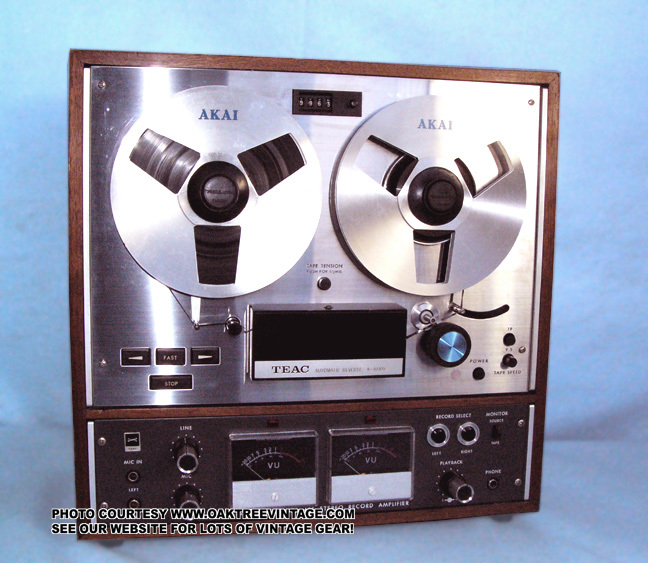 TEAC / TASCAM parts for Data Base info, cross-reference and when available occasionally for sale. Replacement AC power cord modified for many older Teac-Tascam Reel to Reels, tape decks, and probably many others. Here are just a few of the units this cable is modified to fit. 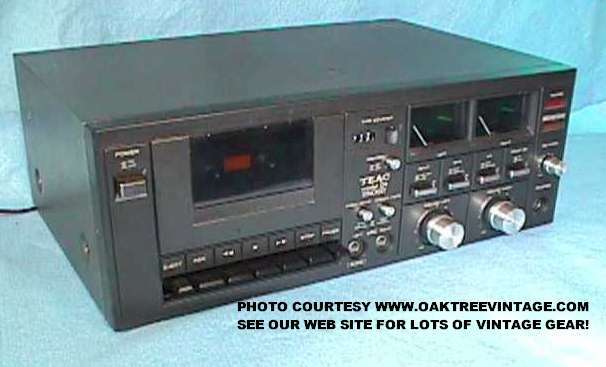 Teac-Tascam models it's been modified to fit for sure; 33-4, 505R, A-1500, A-1500W, A-1230, A-1250, A-1250S, A-2050, A-2300S, A-2300SD, A-2300SR, A-2300SX, A-2340, A-2340SX, A-2520, A-3300S, 3300SR, A3300SX, A-3300SX, A-3340, A-4000S, A-4010, A-4010S, A4010SU, AR-40S, AR-60, A-6010, A-6010S, R-1000, R-1100 and likely other TEAC reel to reel decks. 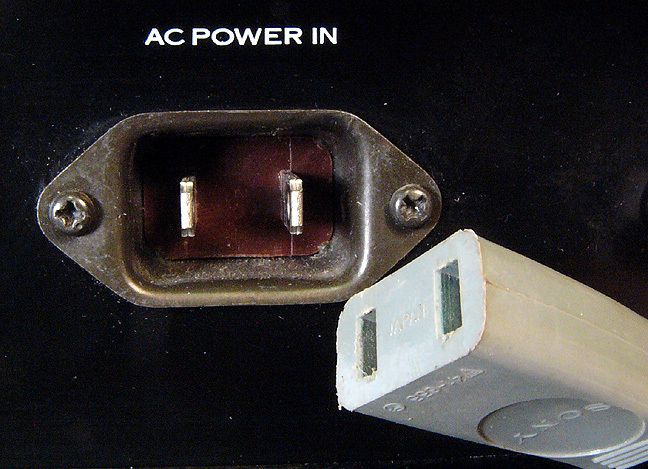 This AC power cord / mains cable will not fit the Bolex-Paillard 18-5 8mm film projector even though it appears similar. 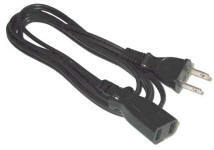 We just got in a few 'modified for TEAC' AC power cords back in after 3 years of being discontinued / unavailable. $39.50 for shipping to the rest of the planet. Motor, Capstan Motor, #71051340 - Reference information ONLY. See other units on this page for possible stock status. Motor, Reel Motor, #71051350 - Reference information ONLY. See other units on this page for possible stock status. Head, Erase Head, #5378600400 - Reference information ONLY. See other units on this page for possible stock status. 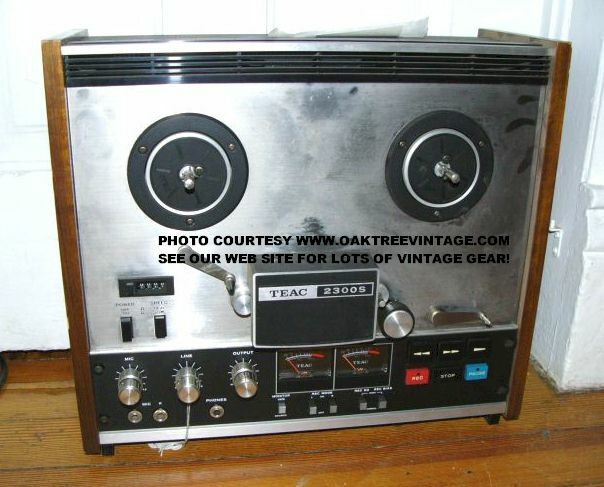 Head, Play-back / Record Head, #5378900100 - Reference information ONLY. See other units on this page for possible stock status. Motor, Capstan Motor, #53700075 - Reference information ONLY. See other units on this page for possible stock status. We completely went through the deck replacing / reconditioning all rubber and cleaning all switches and then found, after spending about 4 hours on it, that it records very low and distorted on both channels. 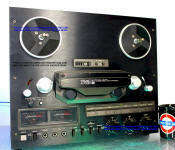 This was Teac's first "Sound-on-Sound" capable cassette deck. Motors run great and heads appear to be in good shape. Problem unknown at this point. Panel, Front / Face plate (NOT THE ONE IN THE ABOVE PHOTO. THE ONE WE HAVE FOR PARTS IS ROUGHER, and NO, for a $25 part, we're not going to take a separate photo of it. Sorry). Cosmetically VERY rough, especially around all the edges. Lots of scrapes / scuffs - $25. Knobs / Caps / Buttons / Covers, Power switch CAP. Orange. - $25. Knobs / Caps / Buttons / Covers, Pitch Control linear fader CAP - $25. Knobs / Caps / Buttons / Covers, Input level linear fader CAP / LEFT (thinner / skinny one / upper one ) - $25. Knobs / Caps / Buttons / Covers, Input level linear fader CAP / Right (thicker / lower one / offset one ) - $25. Knobs / Caps / Buttons / Covers, 'Reverse Mode' switch CAP - $20. Knobs / Caps / Buttons / Covers, 'Output' fader / pot CAP - $20. Potentiometer / Control, Output Level Input linear 20kAX2 pot / fader R43 - $35. Potentiometer / Control, R101 or R201 'Input Level' Control Linear 50k Ohms potentiometer Input / Output Level Input pot - $45. ea. Potentiometer / Control, R42 'Pitch Control' Linear 1k Ohms potentiometer Input / Output Level Input pot - $35. Potentiometer / Control, 'Tape Speed' PC mounted / micro pot R41 - $35. Switches / Selectors, 'Noise Reduction' switch for Dolby B or C selection- $35. Switches / Selectors, 'Reverse Mode' 'latched / push' switch - $35. Motor, Main capstan Drive motor MABUCHI EG-530KD-2F / 12VDC / 1600 / 3200 RPM - $55. Motor, Reel Drive motor MABUCHI RF-510-T - $55. Motor, Head Rotator / Auto-Reverse motor MABUCHI - $55. 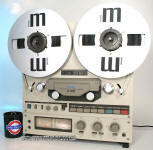 Reel Assembly, Take-Up / TU OR Supply Reel Assembly (appear to be interchangeable) - $45. ea. Pinch Rollers / Arms, Arm assembly w/ rubber pinch rollers. (Left and right appear to be interchangeable) - $35. ea. Transformer, Power transformer 5320037401 - $65. Counter, Tape Counter PCB TEAC PCB-52101837-00 with digital LED readout - $45. 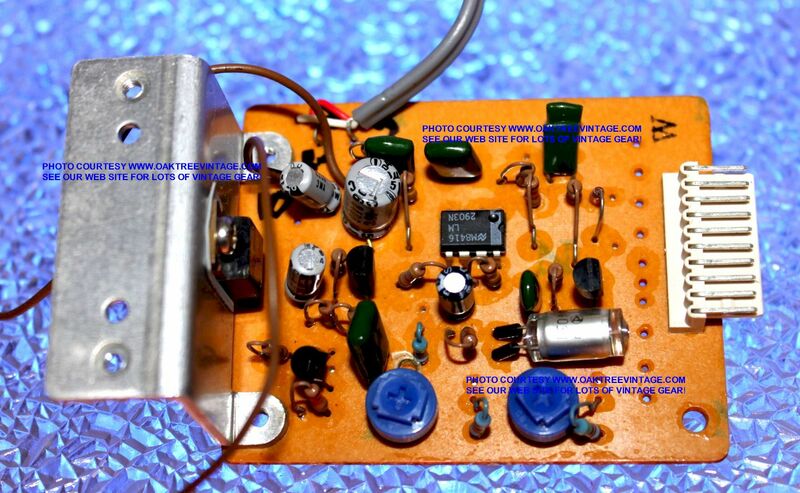 Circuit Boards, 'MAIN' circuit board TEAC Main PCB-521001827-00 (power supply, noise reduction, playback / record amplifiers, etc) (less I/O RCA JACK assembly, and PC mounted rotary pots as they are sold separately), IC chips; Hitachi HD14066BP, Mitsubishi 5220, M5218AL, M51143AL, Sony / Dolby CX20187, and transistors / Regulators; 1346, 3400, 2SC1740, 2SD1302, L78N06, 78010AP, AN78N07, AN79N07 and any others on that board, adjustable transformer coils, and balance of resistors, Diodes, Capacitors, heatsink, connectors, 100kHz bias. - $65. Circuit Boards, Remote Port circuit board TEAC PCB-52101907-00 with 16 Pin connector and balance of resistors, Capacitors, Connectors. - $35. Circuit Boards, Control circuit board TEAC PCB-52101836-00 with, IC chips; TEAC 5220805400, TEAC 5220805300, Toshiba TC4069UBP, LB1475, LC7800, LA6358, NEC 4011BC / 9026TN, Mitsubishi M54517P, and transistors 2SA933, 2SC1740, 2SD734, 1346, 3400, 800kHz, and balance of resistors, Diodes, Capacitors, Connectors. - $65. Circuit Boards, 'Front panel' 'Switch' circuit board TEAC SW PCB-521001942-00 (behind face plate) (less linear pots / faders, 'Tape Speed' PC mounted rotary pot, and less 'Auto / Monitor' switch), but with 'Meter LED's, and momentary push switches, IC chips; Sharp IR2E201, Mitsubishi M54561P, and transistors 2SB698, and balance of resistors, Diodes, Capacitors, LED's. - $65. Jacks / Terminals / Connectors, RCA Input / Output section - $35. Panel, Rear sheet metal panel / plate - $30. Panel, �Front / Face panel�, �Black Anodized / brushed aluminum� finish, light scratches with clear plastic cover for �CD Check�, �Tape Counter 1 / 2�, �Reset�, �Memo Check�, �Intro Check�, �Blank Check�, �Sync Scan�, Record� levels, record level scales, auto reverse, timer, tape directional control buttons / caps, record, pause buttons / caps (less transport, controls, meters, switches, bay doors sold separately) -$45. 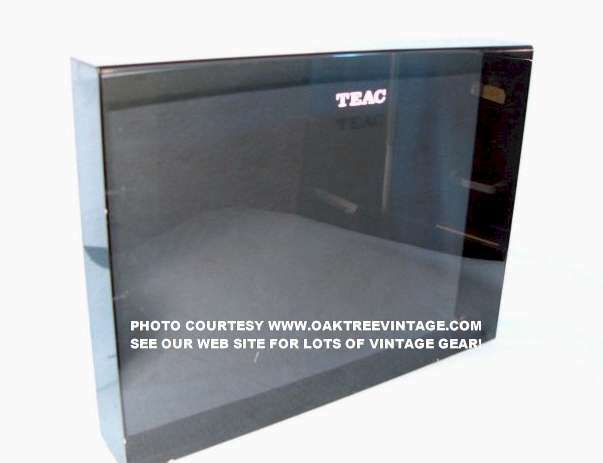 Panel / Door, Cassette �Bay / Well Window� Deck 1 or Deck 2 (less transport)- $25.ea. Knobs / Caps / Buttons / Covers, �Power� cap (switch, switch extension sold separately) - $20. Knob / Cap / Button, �Power switch extension� plastic (less power switch, cap) - $20. 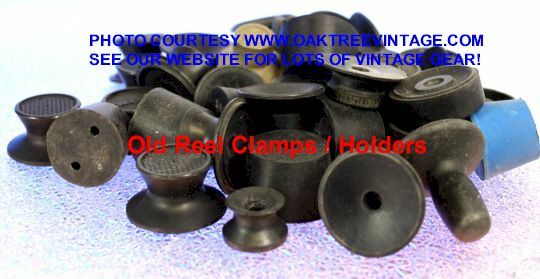 Knobs / Caps / Buttons / Covers, �NR / Noise Reduction� knob / cap, black plastic (less control / switch, circuit board) - $15. Knobs / Caps / Buttons / Covers, �CD CHECK�, �COUNTER�, �MEMO CHECK�, �SCAN�, �SYNC�, �DUB START�, �REC MUTE� push caps, black or Orange plastic (less control / switch, circuit board) - $8. ea. Knobs / Caps / Buttons / Covers, �Timer�, �Auto Reverse�, caps / buttons (switch / selectors sold separately) - $15. ea. 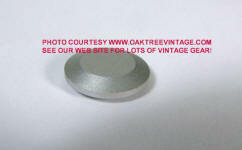 Knobs / Caps / Buttons / Covers, �Eject� button / cap with spring - $20. ea. Switches / Selectors, �Timer� Record / Off / Play (extension, button / cap sold separately) - $30. Switches / Selectors, �Auto-Reverse Mode� switch (extension, button / cap sold separately) - $30. Switch / Selectors, �Power� locking push switch SDL1P-A 4A / 32a250 on circuit board TEAC #52102237-00 w/ clamping capacitor (less button / cap, extension sold separately) - $30. Switches / Selectors, �Voltage� adjustment switch / selector 110 / 127 / 220 / 240 volts on circuit board TEAC #52102238-00 (less transformer) - $30. 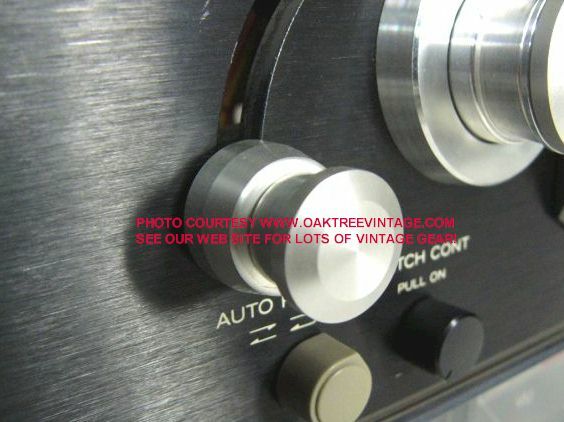 Selector / Switches, �NR System� switch �Dolby B�, �Dolby C�, �dbx� on circuit board TEAC #52102235-00 (less cap / button / knob sold separately) - $30. Circuit Board, �Main� Circuit Board, TEAC #52102226-00 with transistor: 2S603, 2SA124, 2SA144, 2SB143, 2SB1065, 2SC124, 2SC1741, 2SC2060, 2SD1450, 2SD1506, 2SJ40, L78MR05, Horizontal package RS223, M5230L, Mitsubishi M4049UBP, Mitsubishi 5218L, Mitsubishi M51143AL, IC BA6251, BA6993, BU4001B, BU4053B, ,BU4066B, BU4081B, LB1649, Mitsubishi M4049UBP, Mitsubishi 5220, Mitsubishi 54519P, NEC D7519HCW, NEC 7507SCT, C with other board mounted resistors, capacitors, diodes (less capacitors, jacks / connector) - $95. Circuit board, �Noise Reduction�, � NR PCB� circuit board TEAC #52102230-00 with transistors: 2SC124, 2S115, 2S603, IC�s; dbx AN6291, Sony 8T27 Dolby chip, horizontal package Mitsubishi M5218L, SKE332 transformer, 9280 transformer, 6200 transformer and balance of board mounted capacitors, resistors - $45. Circuit Board, �Control� / �Meter� PCB #5210223-00 with �Play�. 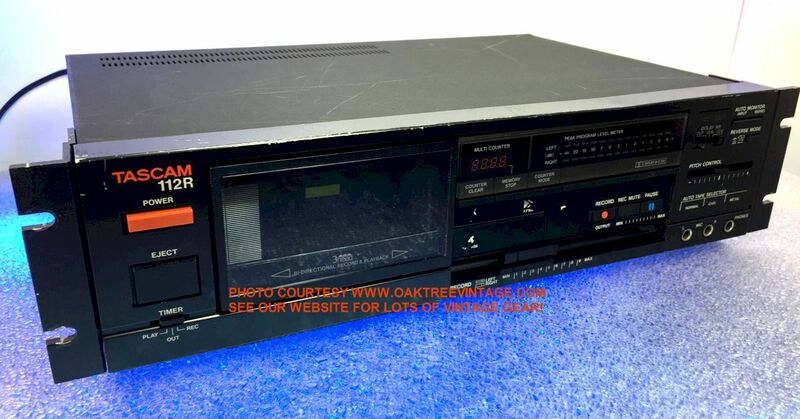 �Stop�, �Rewind�, �Pause�, � Record�, momentary switches, �Record Level� linear fader pots, �Timer�, �Auto Reverse� slide switches, �CD Check�, �Counter 1 / 2�,� Reset�,� PGM�, �Memo Check�,� Intro Check�. �Blank Scan�,� Sync Rev�, � Dub Start High / Normal�, �Rec Mute� push switches (less switches, pots / faders and switch caps / knobs) - $45. Semsor, Remote control Sony BX-1407 �sensor� on circuit board TEAC # 52102236-00 (less remote control sold separately) - $30. Transformer, �Power� transformer, TEAC EX 5320044800 TAM 8H242 adjustable voltage with circuit board TEAC #52102239-00, and circuit board TEAC # 52102228-00 / CMX-140X(less voltage selector sold separately) $45. Door, �Deck-1� Door w/ spring and and damper / shock (window sold separately) - $35. Door, �Deck-2� Door w/ spring and and damper / shock (window sold separately) - $35. Motor, Fast Wind Motor #5761744100, On circuit board - $35. ea. Motor, Head Rotation Motor #5761688700 - $35. ea. Transport, 57617408-01 left bay (less bay door, heads and motors) - $40. Transport, 57617409-01 right bay (less bay door, heads and motors) - $40. Jack / Connector, RCA Input / Output connectors / jacks 2 pair on panel (separate from PCB) - $ 25. Jack / Connector, Headphones �� output jack - $ 25. Panel, �Rear�, sheet metal (less connectors. jacks / outlets) - $20. Socket / Jack, �Phones� � inch jack on circuit board TEAC Jack PCB # 52102234-00(sold separately) - $25. Feet, set of 4 - $30. or $15. ea. This is currently all we have for this unit. For other parts, possibly check the other decks we have listed for a substitution. Parting out. Tape transport (play) relay only clicks and will not start play. Call or email for part you need. Panel / Plate / Cover, Face Plate - CLEAN - $45. Cover / Panel, Head Cover with Teac logo - $30. Knobs / Buttons / Caps, Tape Transport switch caps - $18. ea. Knobs / Buttons / Caps, Round switch caps (when removable) - $15. ea. Switches / Selectors / Controls, Push switches $25. ea. Switches / Selectors / Controls, Micro Switches V-1A44, V-1A10, V-1A etc. - $20 ea. Switches / Selectors / Controls, Power / Speed switches - $25. ea. Meters, Level / VU Meters with lens - $30. ea. Roller, Rubber Pinch roller / pressure roller (good used) - $65. Spindles, Hub Base / spindles with screws (Reel Base) - $65. ea. Motor, Capstan Main Motor (EM282)- $65. Motor, Hub / reel motor (EM1472)- $65. 1 left in stock. Flywheel, Capstan Main Flywheel - $35. Counter, Tape counter mechanism - $30. Tension Arms, Tape Tension Arm Assemblies - $35. ea. Guards, Tape Guards - $15. ea. Capacitors, Filter Caps Two (3.9 + 0.9uF ,250WV.AC) - $20. ea. Relays, Relays (MY4 0US-24DC four In stock, LC1 two in stock) - $25. ea. Resistors, Back tension Wire Wound Resistors with clamping connectors - $20. ea. Solenoids, Internal Solenoid (RL-1604, RL1603)- $30. ea. data for reference / cross-reference only. None currently for sale. HEADS / HEADSTACK, Head, Erase Head, PN 50664110 - Reference info ONLY. Not currently available for sale. HEADS / HEADSTACK, Head, RECORD Head, PN 50664410 - Reference info ONLY. Not currently available for sale. HEADS / HEADSTACK, Head, PLAYBACK Head, PN 50664420 - Reference info ONLY. Not currently available for sale. MOTOR, Motor, Capstan Motor / Main Drive Motor, PN EM-282 - Reference info ONLY. Not currently available for sale. MOTOR, Motor, Reel Drive Motor, PN EM-1472 - Reference info ONLY. Not currently available for sale. TRANSFORMER, Transformer, Main Power Transformer, PN TR1010 - Reference info ONLY. Not currently available for sale. Parting out. Tape transport works great! 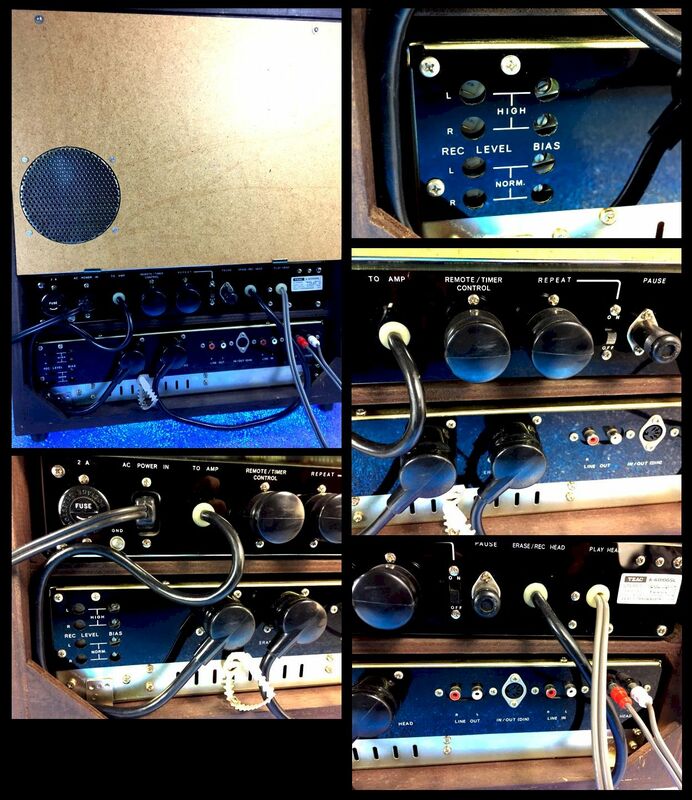 AR-60 Pre-Amp also works, but has a strong 60 cycle AC buzz when unit is powered up and in Tape Monitor position. Face Plate / Panel, Upper main - CLEAN - $65. Face Plate / Panel, Teac A-6010 Lower Face panel with transport button cutouts. Great cond. - $30. Knobs / Caps / Buttons / Covers, switch caps (when removable) - $8. ea. Knobs / Caps / Buttons / Covers, Power or Record knob - $20. ea. Switch / Selector, Push switches - $35. ea. Potentiometer / Control, Mic / Line / Output Pots - $30 ea. Pinch roller, Rubber (good used) - $45. MIA? or SOLD? Counter, Tape counter mechanism - $35. Motor, Capstan / main Motor 70-114 090787 / 50701170 - $75. Tape Tension Arm Assemblies - $35. ea. Brakes, Tape Tension brakes - $35. pr. Resistors, Back tension Wire Wound Resistors with clamping connectors - $25. ea. Solenoid, Any internal Solenoid 50616403 Brake Solenoid or 50616393 Capstan Solenoid / RL-11C-6 - $35. ea. Transformer, Power Transformer, TEAC 56150 (taps: One side Blue/Blue. Opposite side: Red/Orange/Gray/White/Purple/Brown/Yellow) - $45. Multi-voltage selector / fuse holder (with insert cap) - $35. Panel Mount 8 or 11 pin connectors / Jacks- $30. ea. 11 pin Dummy Plugs for Remote / Repeat jacks - $35. ea. ALL MULT-PIN TEAC REMOTE / DUMMY PLUGS CURRENTLY ON HOLD FOR SHOP USE. 8 or 11 pin jumper cables with connectors - $65. ea. ALL MULT-PIN TEAC CABLES / CONNECTORS CURRENTLY ON HOLD FOR SHOP USE. These are the only parts we have for this unit at this time. Panel, Top Vent / Panel - $35. Panel, Face Panel / Plate, Black, Play / Rec amp - $55. Panel, Rear Panel / Back Plate, Black, Play / Rec amp - $45. Knobs / Caps / Buttons / Covers, Round switch caps (when removable) such as 'Tape Speed', �Tape Thickness�, �Auto-Reverse� buttons - $20. Ea. 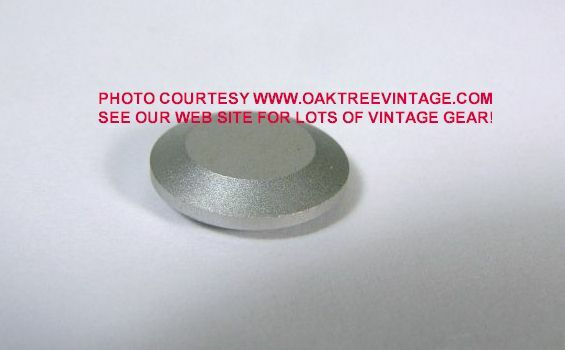 Knobs / Caps / Buttons / Covers, Rectangular �Transport� switch caps; �Fast� or �Direction� buttons #50252271 (see TEAC A-6010GSL & A-7010GSL) - $30. Ea. Switch, Push switch �Monitor Tape / Source� #50443630 (button / cap sold separately) (Fits TEAC A-6010GSL, A-7010GSL) - $40. Switch, Record Push switch assembly w/ lamp / bulb holder #50443410n (see TEAC A-6010GSL & A-7010GSL) (button / cap sold separately) - $55. Switch, Toggle / Lever Switch; �Mode�, �EQ/Level� or �Bias� 50937590 (does NOT fit A-7010GSL) - $45. Ea. Selector, Tape Transport selector / �Mode Control� assembly (w/ �Stop� button / cap, micro switches for 'Stop', 'Fast Wind' & 'Play') (Play & �Fast� buttons sold separately) - $45. Selector, Tape Transport selector / �Mode Control� buttons / caps for �Play Left�, �Play Right� or �Fast Wind� (Fits TEAC A-6010GSL, A-7010GSL) - $25. Ea. Potentiometer / Control, �Mic� or �Output� Pot #50537090 (knob / button / cap sold separately) (Fits TEAC A-6010GSL, A-7010GSL) - $45. Ea. Potentiometer / Control, �Line� Pot #50537100 (knob / button / cap sold separately) (Fits TEAC A-6010GSL, A-7010GSL) - $45. Potentiometer / Control, �Rec Level / Bias� Pot (PC mounted �screw driver� adjustment pots on rear panel of Play / Rec amp) sold as an assembly on their circuit board. See listing below. - $275. For complete �plug-in� assembly of ALL heads, plates, mounting etc. Ready to plug-in. 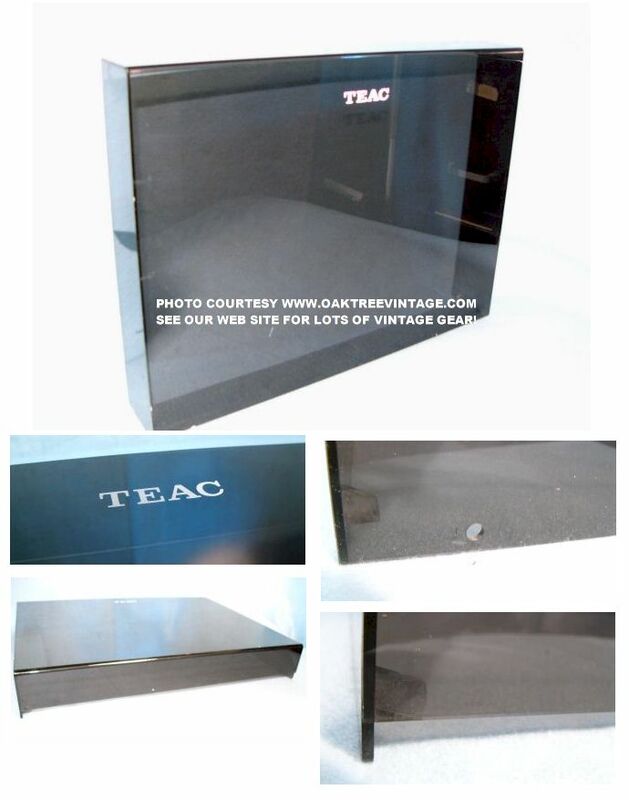 Cover, Head Cover with Teac 'A-6010GSL' logo � Excellent, near new cond. - $55. Reel Table, Hub Reel Tables / Spindles / Platform / Base, Table 50161524 w/ black rubber pad / mat 50162771, (nylon screws not included, nor available, but you can use metal screws) - $65. ea. 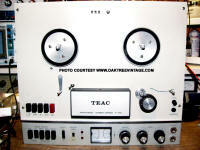 Meters, �Rec Level / VU meters� #50581390 (Fits TEAC A-4010GSL, A-6010GSL, A-7010GSL) - $55. ea. 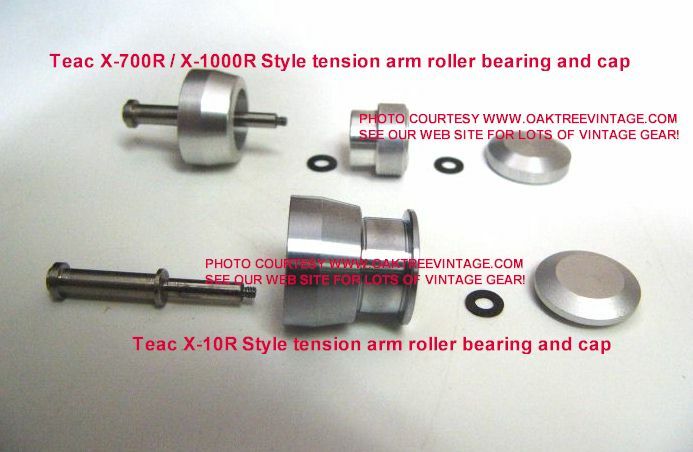 (This pinch roller, TEAC 50140260, also fits; TEAC A-1200, A-1300, A-1500, A-2020, A-2050, A-4000, A-4010S, A-4010SL, A-4010GSL, A-4020, A-4070, A-4070G, A-6010, A-6010SL, A-6010GSL, A-7010, A-7010SL, A-7010GSL, A-7030, A-7030SL, A-7030GSL, A-7030MK4, A-7040, & TCA-40) Dimensions: ~39-40mm diameter, ~14-15mm thickness of rubber, ~17mm shaft protrusion from rear of roller, 6mm shaft diameter, ~36.5mm overall distance from hub cap to rear of shaft. Circuit Boards, Record Relay Assembly circuit board 50481990 with Type K6 relay and 4x �Push Switches�; �Tape Speed�, �Tape Thickness�, �Auto-Reverse�, �Signal / Record� (less black switch caps, sold separately) (Fits TEAC A-6010GSL, A-7010GSL) - $45. 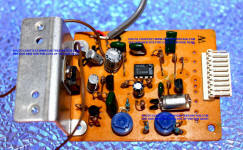 Circuit Board, �Spark Killer� circuit board 50482860 (less relay, sold separately) - $45. Connector, 18-Pin Playback Amplifier Circuit board edge connector / card connector TEAC 50438130 / MITSUMI / CINCH 477M - $45. Relay, #50610770 OMRON TYPE MY4 10Y1 / 11Y1 / 29X1, 100 Volt / 1100 Ohms (from �Control Relay Circuit Board� and �Spark Killer Circuit Board�) - $25. ea. Relay, OMRON TYPE MH2ZP 11Y1 / DC Z 12 Volt / 1100 Ohms (from �Control Relay Circuit Board�) - $35. ea. Relay, Head Relay, 50611090 OMRON TYPE MH2P DC 12 Volt / 430 Ohms (located behind �rear panel�) (Fits TEAC A-6010GSL, A-7010GSL) - $35. ea. Jacks, Panel Mount 11 pin connectors #50432350 (Fits TEAC A-6010GSL, A-7010GSL) - $30. Ea. Connector / cables, 8-pin Male, jumper cable with connector for �Erase / Record Head� #50475590 (Fits TEAC A-6010GSL, A-7010GSL) - $45. Ea. Connector / cables, 8-pin Female jumper cable with connector for �To Amp� #50476800 (Fits TEAC A-6010GSL, A-7010GSL) - $45. Ea. 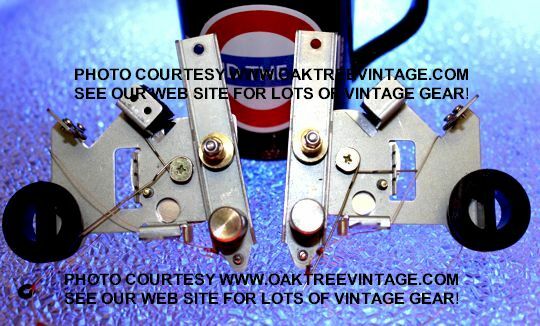 Fuse holder / Selector, #50412142 jack with selector plug (world / multi-voltage style) (cap sold separately) (Fits TEAC A-6010GSL, A-7010GSL) - $35. Fuse Cap / insert - $35. 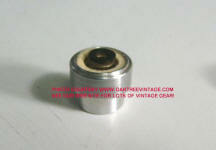 Jack, �Mic� input jack, #50430240 (Fits TEAC A-6010GSL, A-7010GSL) - $30. Ea. Jack, �Phone� (headphones) output jack, #50432450 (Fits TEAC A-6010GSL, A-7010GSL) - $30. Ea. 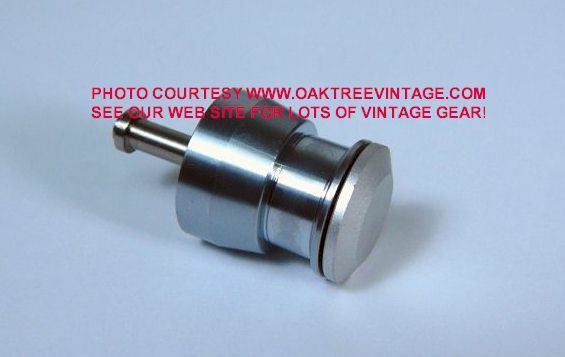 Jack, AC input jack, 2-Spade male, Recessed, 50432950 (Fits TEAC A-6010GSL, A-7010GSL) - $35. 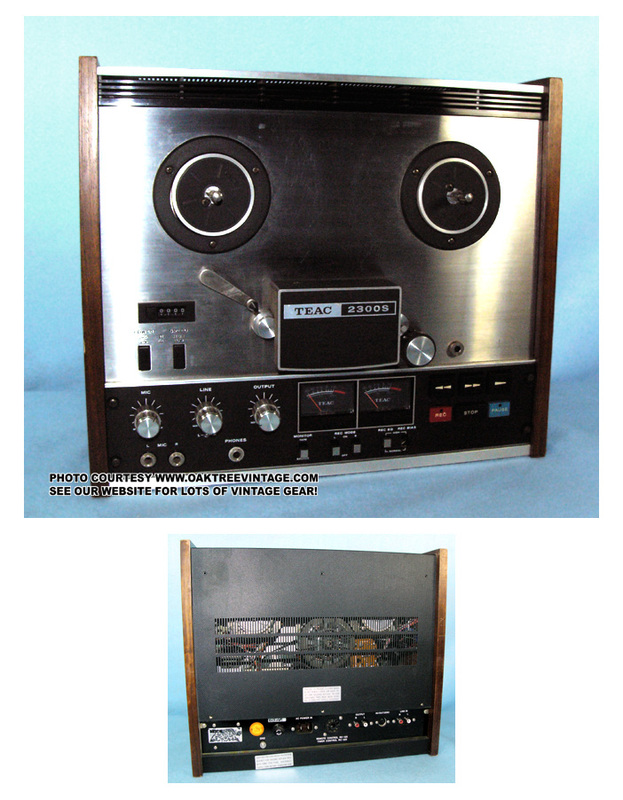 Panel / Plate, Top Sheet metal panel / plate on Play / Record amplifier unit / module - $30. Panel / Plate, Lower / Bottom Sheet metal panel / plate on Play / Record amplifier unit / module - $30. 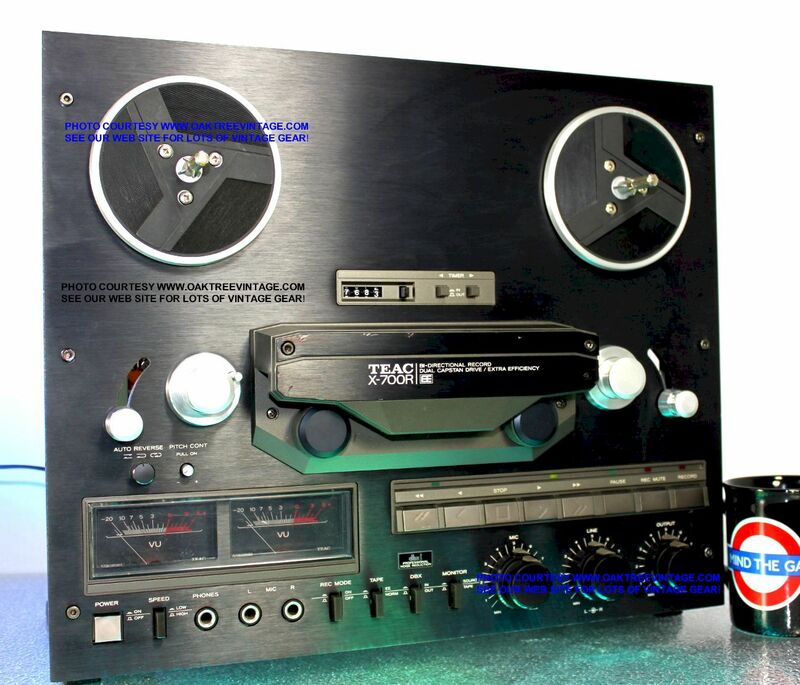 Some parts MAY* also fit the Teac X-10R, X-20R-EE, X-700R, X-700R-EE, X-1000R possibly others. Bonnet / Cover / Housing, Wood grain back cover / housing (excellent condition. No breaks, cracks or chips and not including mounting screws) - ??? Panel / Plate,�Face� Plate. Anodized aluminum, black. very good condition. No dings, scuffs or gouges (less controls, knobs / buttons, meters, pots, switches and mounting "hex" / Allen bolts, head cover�All sold separately) - $125. Screws / Bolts / Fasteners, Face plate / cover mounting hex / Allen bolts / screws. Black finish - $12. ea. Panel / Cover, �Head cover� plastic, small dings, but nothing too distracting (less hex bolts, face plate, transport, heads) - $40. Screws / Bolts / Fasteners, Head Cover hex bolts / cap screw #5800285000 (Fits Teac X-700R, X-1000R and possibly others) - $18. ea. 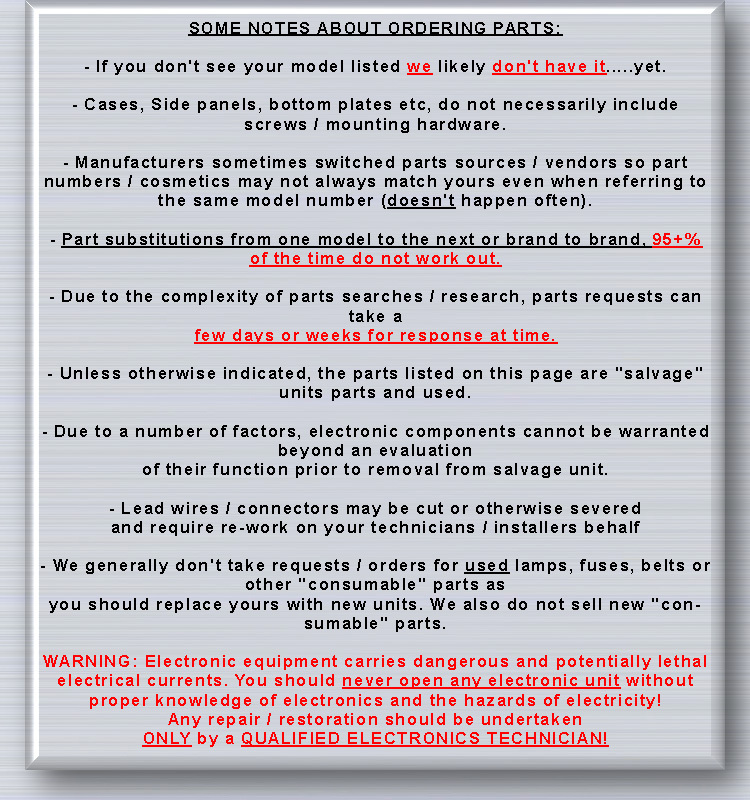 Panel / Trim / Bezel, �Head housing base / back bezel / trim� #5800261900. Charcoal plastic (Fits Teac X-10R, X-700R and possibly others) - $30. Knobs / Caps / Buttons / Covers, �Power� w/ nylon extension - $35. ea. Knobs / Caps / Buttons / Covers, �Pitch Control� knob / cap - $25. Knobs / Caps / Buttons / Covers, �Speed�, �Record mode�, �Monitor� push switch caps, Black Plastic, Rectangular (less switch, extension ) - $18. ea. 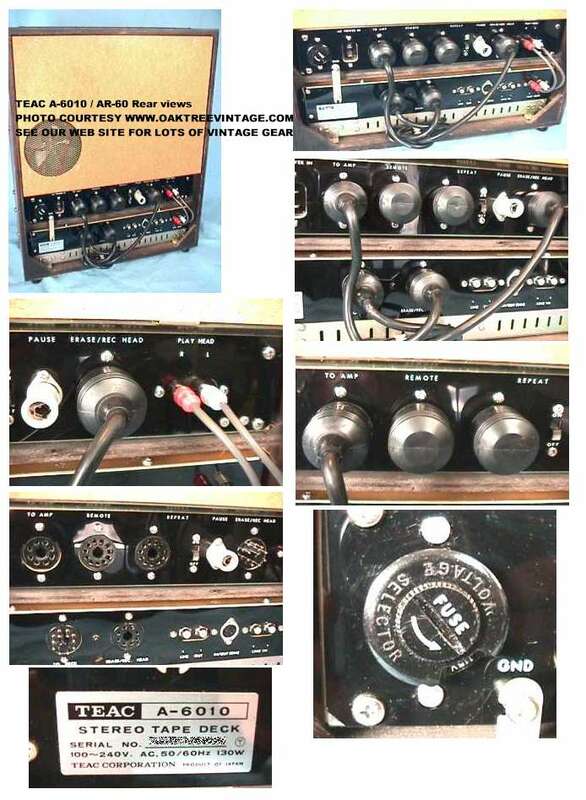 Knobs / Caps / Buttons / Covers, �Tape�, �dBx� push switch caps, with �Cotter / Clevis� pins / clips (less switch, extensions sold separately) - $20. ea. 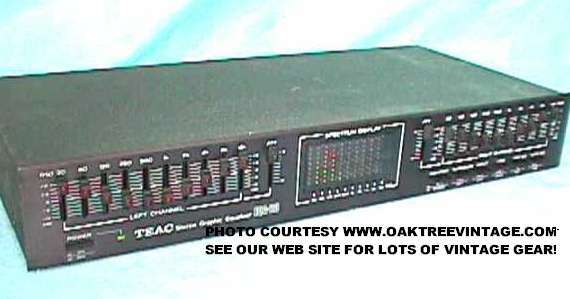 Display / Counter, Tape �counter� with manual reset #5504724000 (Fits Teac X-10R, X-700R and possibly others) - $35. Potentiometer, �Mic�, �Line�, �Output� pots / controls 15A 50K Ohms X2 EX - $35. ea. Potentiometer / Control, �Pitch� control pot / switch, Alps 145E 5KB on circuit board #51679380 - $35. Switch / Selector, �Power� push switch �JP20� / 125V 10A AC 250V 5A with clamping capacitor 0.01 � 300AC (less extension, button / cap sold separately) - $35. Switch / Selector, �Power� push switch �extension rod� (less switch, pin / clip, button / cap sold separately) - $20. Switch / Selector, �Transport control� momentary push switches �Fast reverse�, �Reverse�, �Stop�, �Forward�, �Fast forward�, �Pause�, �Rec mute�, �Record� switches, buttons / caps mounted on �Operation SW� circuit board PCB-101, TEAC 51679290 with red and green lamps (function not guaranteed) wiring harness with plug complete - $65. Switch / Selector, �Auto Reverse� 3 position, �rotary� switch on circuit board #TEAC 51679280 / SW PCB-128 (less cap / knob / button sold separately) - $30. Switch / Selector, �DBX� Push switch (from �record / play circuit board�) - $35. Extension, �Monitor� OR �Record mode� push switch extension rod with clip / pin (less switch, button / cap sold separately) - $25. Switch / Selector, �Timer� locking push switches (2) on TEAC #PCB-103 / 51679260 and board mounted resistors - $35. Extension, Timer� push switch extension rod with clip / pin (less arm, switch, button / cap sold separately) - $25. Extension, Timer� push switch extension rod with clip / pin, arm and weight (less switch, button / cap sold separately) - $25. Switch / Selector, �Speed� control locking push switch on circuit board TEAC#5157001001 (less button / cap sold separately) - $30. Switch / Selector, �Rec mode�, �Monitor� locking push switch (less circuit board, extensions, caps / buttons sold separately) (from �record / play circuit board�) - $30. ea. 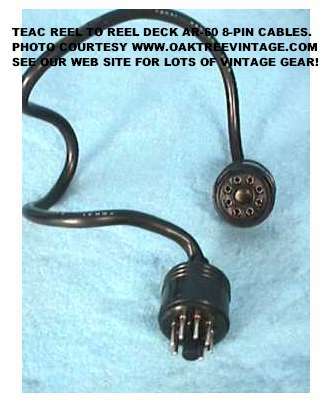 Extension, �Record� push switch extension rod with pin / clip (less switch, button / cap sold separately) - $25. Switch / Selector, �Tape Type� / �EE-NORM� locking push switch - $35. Switch, Micro / �reed� switch, Omron SS-5GL13-F 5A125VAC3A250Aac #with capacitor - $18. ea. 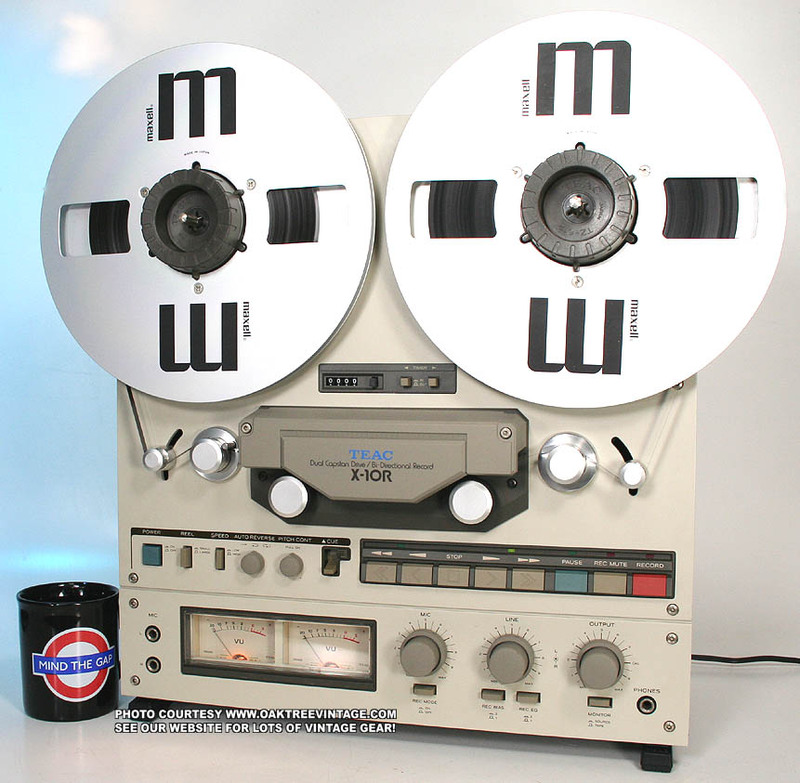 Heads, Play Head / Head-Stack / Headstack (perfect) 4-Track / 2-Channel #5378300700 (also fits Teac X-20R-EE and X-700R-EE) - $65. ea. Great cond. 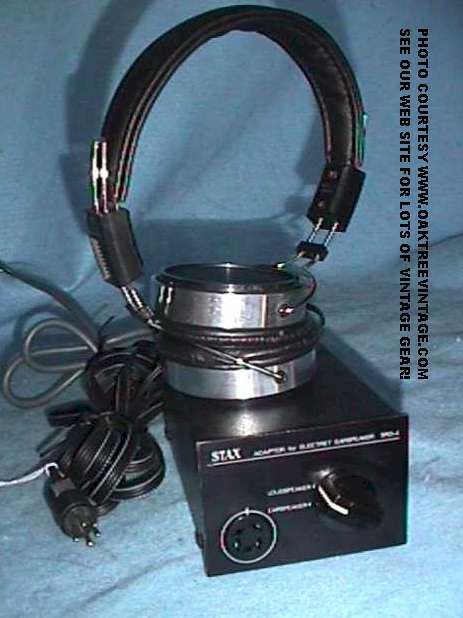 Heads, Record Head / Head-Stack / Headstack (perfect) 4-Track / 2-Channel #5378300600 (also fits Teac X-20R-EE and X-700R-EE) - $65. ea. Great cond. Heads, Erase Head / Head-Stack / Headstack (perfect) 4-Track / 2-Channel #5378300800 - $65. ea. Great cond. Meter Window, Plastic meter �lens / cover�. Minor scuffing - $30. Meters, VU Meter �bezel / trim�, brushed, black anodized aluminum (less meter sold separately) - $25. Pulley, Drive Pulley / Main Capstan Belt Drive Pulley (aluminum w/ two set screws) - $30. 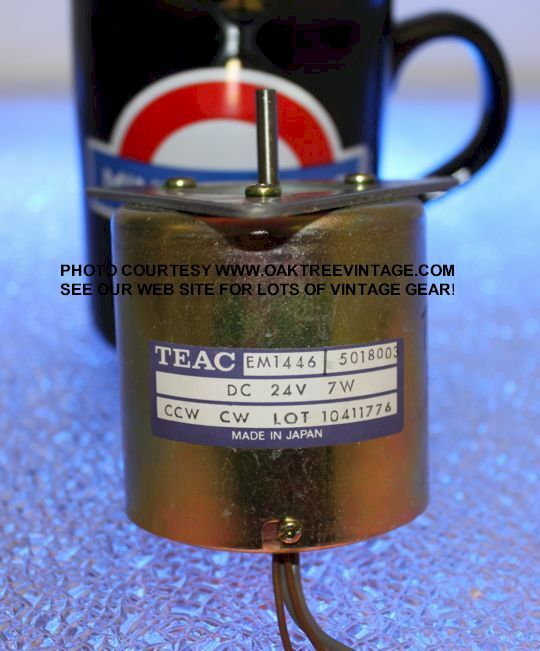 Motor, Hub / reel / Fast Wind Fast Forward / Rewind motor motors Part # EM1448 (see also Teac-X-7R) - $95. ea. Reel Table, Reel Table assembly spindles #5504744000 (Reel Table assembly with spindle tips) (117mm in diameter / ~28mm center to center on the screw / bolt holes) - $95. 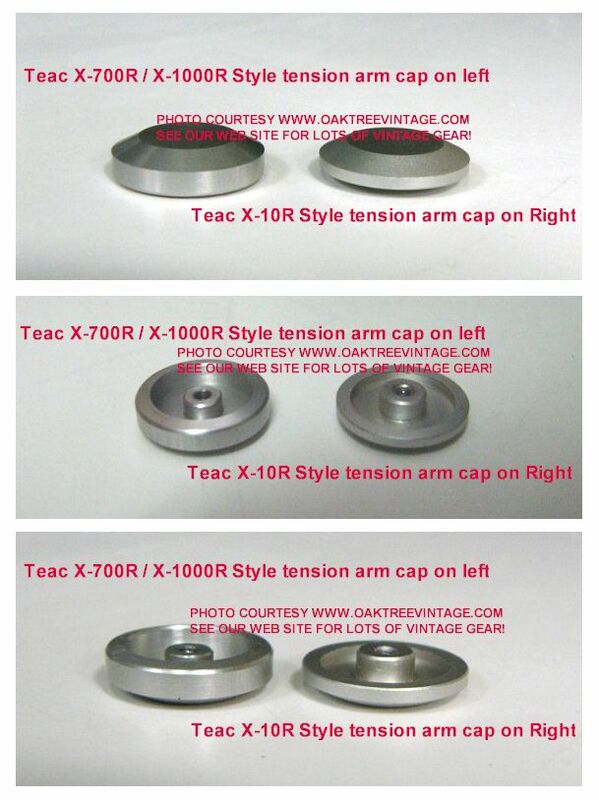 SOLD (The hub / reel spindles from the Teac X-7, X-7R, X-10R, X-1000 also fit the Teac X-2000. They are the same part both for fit and cosmetics) May also fit other models. 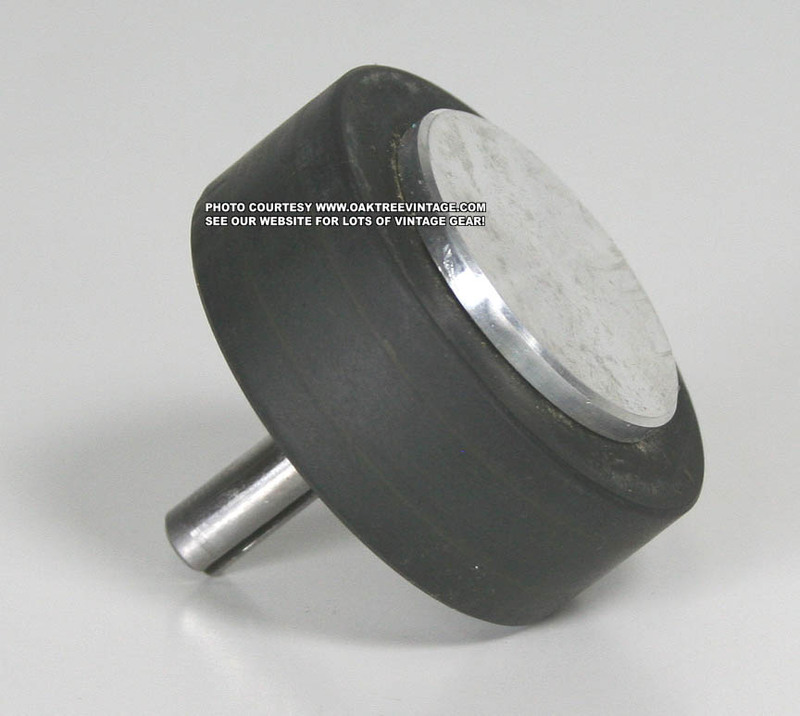 Pinch Roller, Rubber Pinch roller left or right #5014175100 (fits TEAC A-2300, X-700R) (good used, less screw and hubcap) (31mm diameter x 12mm wide with center bushing hole 5mm) - $55. ea. 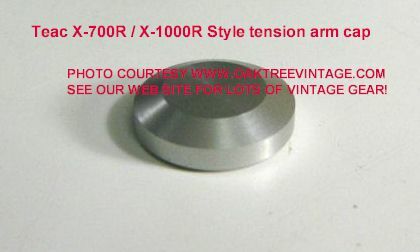 Pinch Roller, Pinch Roller Cap / Cover #5545014000 (fits TEAC X-10R, X-700R) (roller sold separately) - $35. ea. 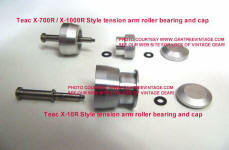 Rollers / Wheels, Tape Tension Arm idler wheels / Rollers (See also Teac X-700R and Teac X-1000, BUT NOT X-7 OR X-10R). (Caps shown below are the same) - $35. ea. Solenoid, RL-1657 / 5163041001- $40. Solenoid, RL-1658 / 51630420 - $40. Solenoid, �Record� solenoid #RL-1659 / 51630436 / 84-11 - $40. Solenoid, RL-1660 / 51630450 - $40. Solenoid, RL-1661 / 51630440 - $40. ea. Brakes, Hub Tension / �brake bands� with mounting bracket Left =#5504735000 or Right =#5504736000. Felt �Brake Shoe� intact and good - $30. ea. includes chassis / frame & pinch roller arm mechanisms (less heads, head mounting plate, flywheels, thrust plate) - $55. Circuit Boards, �DBX� Encoder / Decoder Circuit Board TEAC DBX PCB-52101297-01 with transistor: 2SA733, 2SC945, DBX chips 146732, 146742, NEC 4558C and other board mounted capacitors, diodes and resistors - $65. Circuit Boards, �Control� Circuit Board PCB-116 with transistors: 2SA07, 2SA999, 2SB507, 2SC1815, 2SC2274, 2SC1061, 2SD313, Voltage Regulator; 78M05, IC�s; Hitachi HD7400P, HD7402P, JRC 2901N, AN6251 and Bridge Rectifier M4C51, Omron relays G2U 113P0 O9409, Micron 2W / 1.5Ohm K, 2W / 3.3Ohm K / 5W / 3.3Ohm K resistors and balance of board mounted capacitors, diodes and resistors and heatsink - $65. Circuit Boards, Record / Play Amplifier Circuit Board PCB-52101295-00 with transistors: 2SA1015, 2SC945, 2SC2320,2SD655, IC'S Mitsubishi 5218, Tl4558P, Linear Record Switches (x3), TEAC Oscillator #50400900 / 100khz, �filter capacitors� and other board mounted capacitors, diodes and resistors (Less push switches, pots, relays) - $95. Circuit Board, �Lamp supply� circuit board #52101316-01 (less lamps) - $20. Relay, Omron relay LAB2L 12 VDC (from �record / play circuit board�) - $25. Relay, Omron �relay� G2v-282P 24vdc (less circuit board) - $25. Relay, Omron �relay� G2U / 113P / 09409 (located on power supply / control circuit board) - $25. ea. Transformer, �World AC / Multi-Voltage� Power transformer TEAC# 5320006600 (capable of (100, 120, 220, 240V) (less voltage selector switch sold separately) - $95. Selector / Switch, Voltage Selector / Switch (100, 120, 220, 240V) - $35. Jacks / Connector, �Headphone� jack / connector #5124046000 (less circuit board sold separately) - $25. Jacks / Connector, �Microphone� jack / connector, #5124045000 right and left (less circuit board sold separately) - $25.ea. Jacks / Connector, �Remote control� circuit board PCB-109 / TEAC #51679310 with wiring harness, plug / socket (less remote control) - $30. 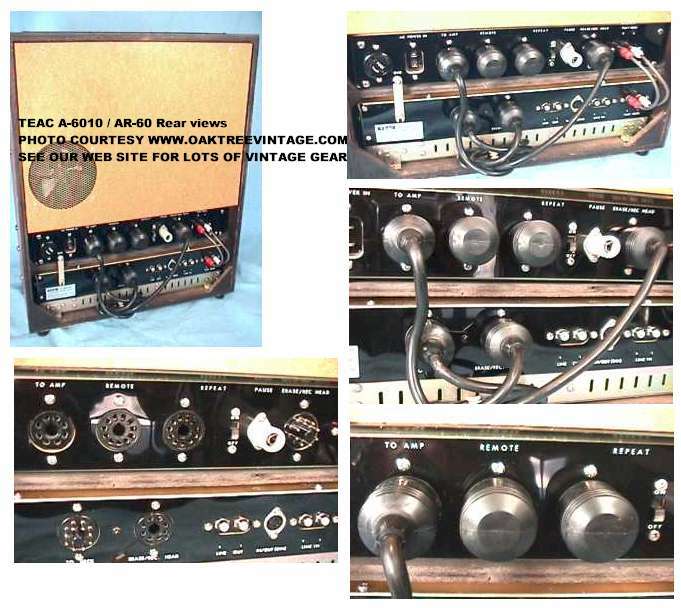 Jacks / Connectors, RCA �Input / Output� on Teac circuit board #5167937101, 4 mounted on `panel / section (less rear sheet metal panel) - $30. Panel, �Rear� black sheet metal panel (less jacks / connectors, remote control socket / plug sold separately) - $25. Other parts not listed quoted individually based mostly on part value and time required to extract. For NAB Hub adaptors, click HERE! 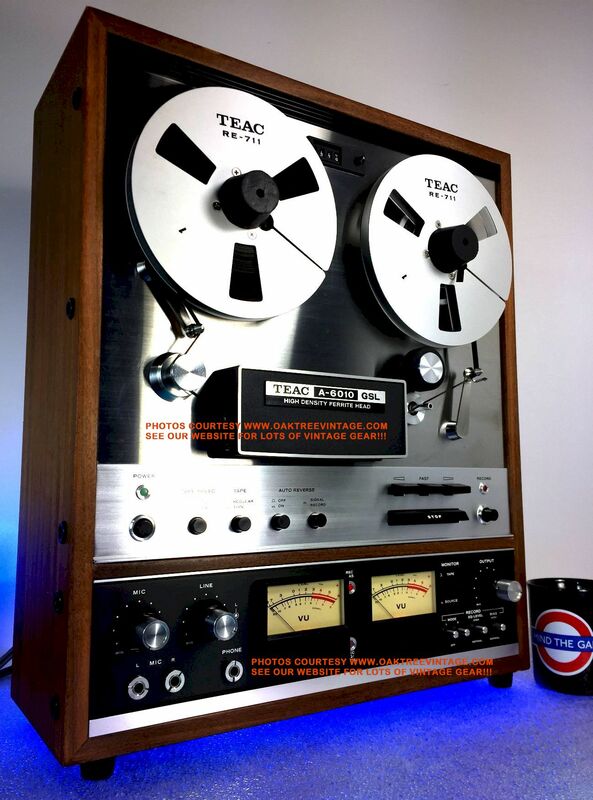 TEAC reel to reel deck - 11-pin jumper cable with connectors for Record Amp / Tape Deck - $35. ea. ALL MULT-PIN TEAC CABLES / CONNECTORS CURRENTLY ON HOLD FOR SHOP USE. 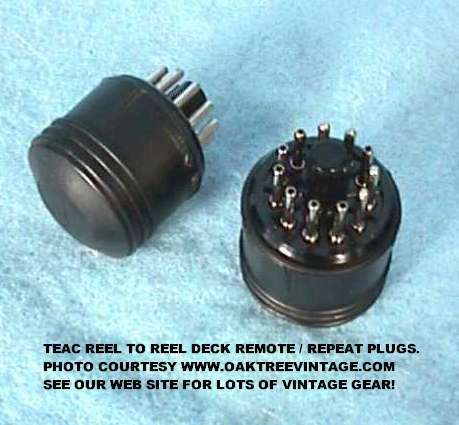 TEAC reel to reel deck - 11 pin Dummy Plugs for Remote / Repeat jacks - $25. ea. Deck runs, but was not practical to restore. Main, Upper Face Plate. New condition. No dings, scuffs or gouges (with right tape tension roller / counter sensor assembly intact) (does not include any mounting "hex" bolts) - $125. Lower, Face Plate. New condition. No dings, scuffs or gouges (does not include any mounting "hex" bolts) - $65. Case Lid Excellent condition - $35. Capstan / Main Motor 70-111 - $45. Capstan Flywheel w/ bearing / bushing - $35. Hub spindles / Brake drums (Reel Base with spindle tips) - $35 ea. Back tension resistors - $20 ea. Any internal Solenoid 61614 - $20. ea. Heads / Head-Stack / Headstack (great condition with minor wear) - $55. ea. or $85 for all mounted on head chassis. 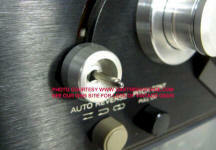 Record Selector switch assembly - $35. Concentric knob sets - $25 pair. Hub Tension brakes / brake bands - $20. ea. RCA Input / Output Panel / section - $20. Any Single Spring (valued at time to extract.) Usually $20-$35 ea. Parting out. Runs well, but heads are worn. Call or email for part needed. Main Motor 70-116 / EM-281 - $45. Heads / Head-Stack / Headstack (worn) - $25 all. Power Transformer 56139 - $40. Other parts not listed quoted individually based mostly on part value and time required to extract. Phone or email for availability. Great looking Stereo / Dual 10 band graphic controls featuring de-tented linear pots with +- 12 dB throw. 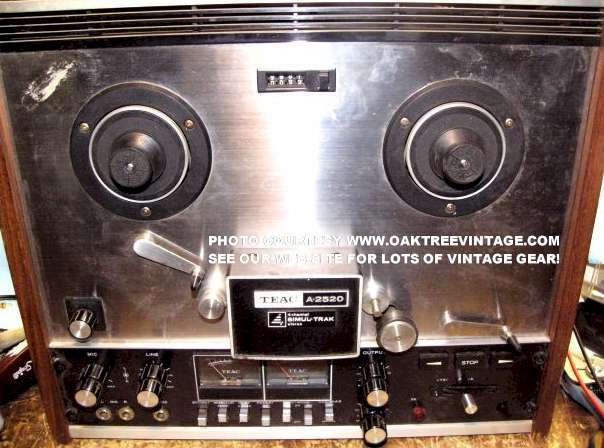 Dual built-in tape monitors with record function. Bright & colorful LED spectrum analyzer screen. EQ looks great and does work, however it has a static noise when most of the faders are moved (cleaning doesn't seem to help) and one side of one of the tape monitor inputs is about 5 db lower in level. Works fine once the faders are left alone in position and if you don't need the second tape monitor. Use as-is, for parts or for repair. Measures 16.5" wide x 9" deep x 3" high and weighs 9 lbs unpacked. 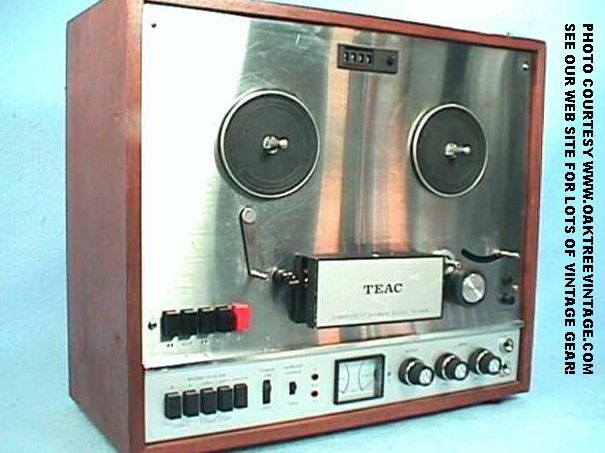 For Open-reel TEAC tape decks. 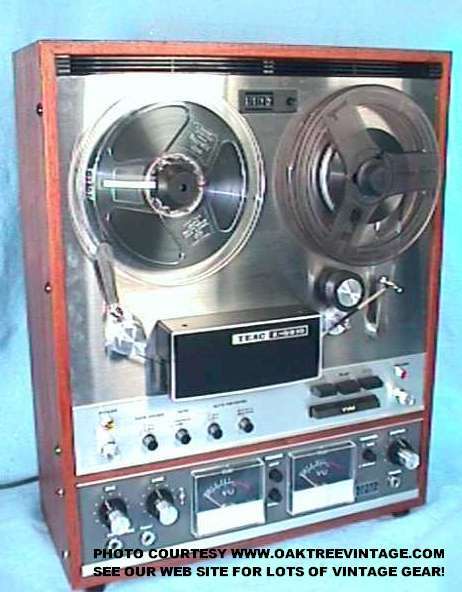 Designed to hook over locating pins on the top of the following machines: 4010 / 6010 / 7010 / 7030 Reel-to-Reel tape machines. May also fit others. Distance of the two factory holes is 13 3/4" center to center for mounting. Outside measures: 17 3/4"w X 13 3/8"h X 2 3/4"d & inside measures: 17 3/8"w X 13 1/8"h X 2 3/4"d. Used, but excellent condition with only very light wear. No breaks, cracks, chips or major scuffs / scratches.